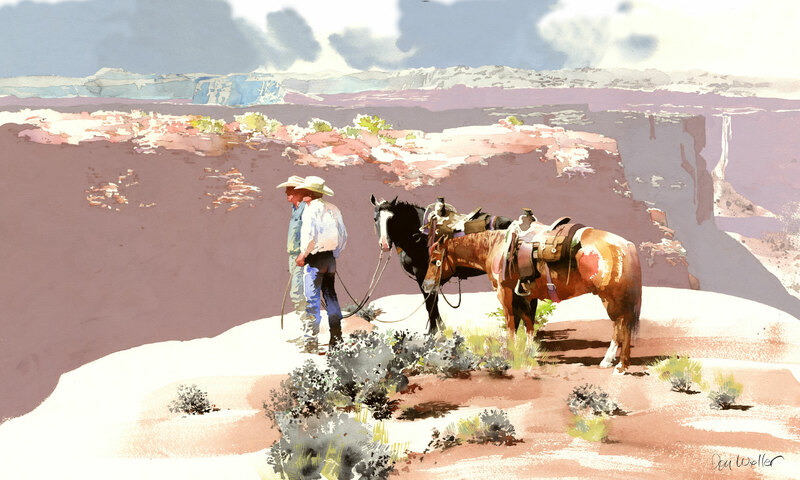 About the Artist: Don Weller is a Western watercolor artist and captures the detailed beauty of the natural world of Western America, from hills of rock, to wide green ranch lands. 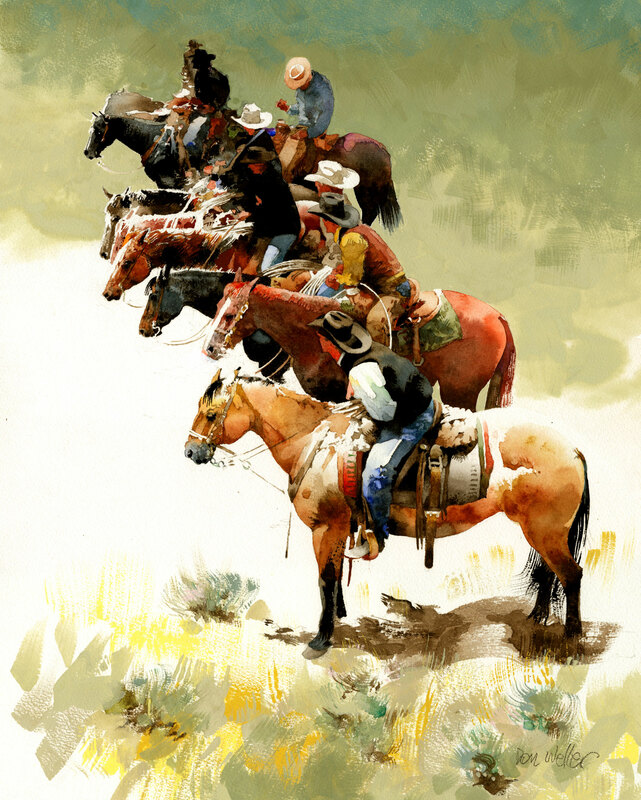 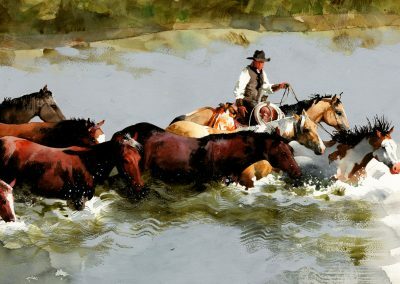 Don also specializes in animal subjects, especially the powerful beauty of horses, one of the great symbols of the West. 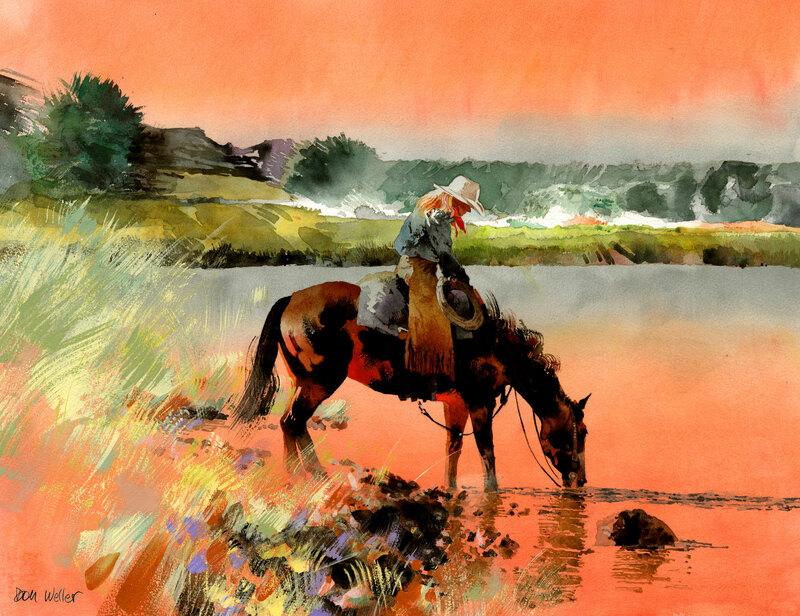 Prior to focusing his art on the West, he was an illustrator and graphic designer in Los Angeles and also spent a number of years teaching art at UCLA and the Art Center School in Pasadena. 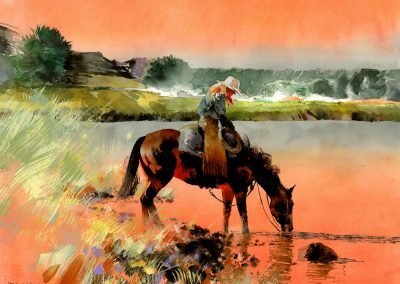 He eventually tired of the southern California life style and moved to Utah. 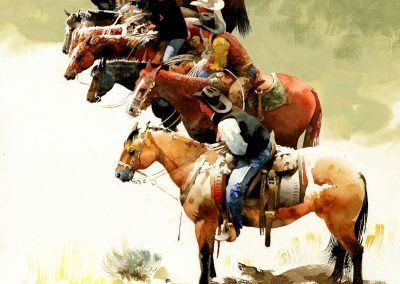 He began to wonder what it would be like to ride cutting horses, then he found out and his adventures expanded to cutting contests, rodeos and ranch life. 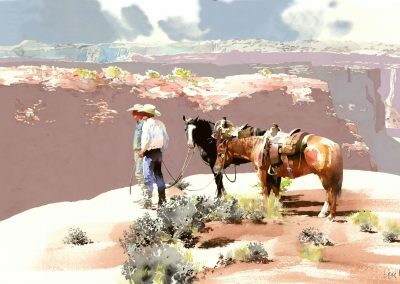 Don’s Image-True Prints have a satin finish and the Standard and Large sizes are available with or without mat and frame, while the Mini and Jumbo are available as Contemporary Mount only (no mat or frame).